Daniel Kazimierski’s pinhole photographs and his personal essay about the Palace of Culture and Science in Warsaw. Completed in 1955, the Palace was a gift from Stalin to the Polish nation. This propaganda move made the Palace instantly controversial. Kazimierski, who was born in 1949, recalls in his essay the numerous wonders the monumental building offered to a young child growing up in a socialist state. Published in Poland. Select prints on fine art paper are available here. 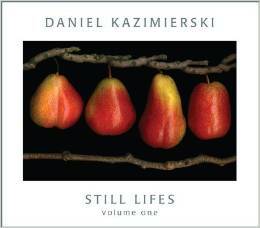 STILL LIFES: A collection of images from Kazimierski’s Still Lifes series, both Edibles and Found Objects. Fine art prints from the book can be ordered from the Still Lifes pages. HUDSON RIVER AT DUSK: A collection of color pinhole photographs of the Hudson River, taken over the course of several years, from the East bank of the river as the sun was setting. 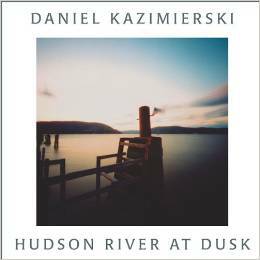 Prints from this book are available on the Hudson River at Dusk: Color page.